Our friends at Copperas Cove Optimist Club know how to do Valentine’s Day! 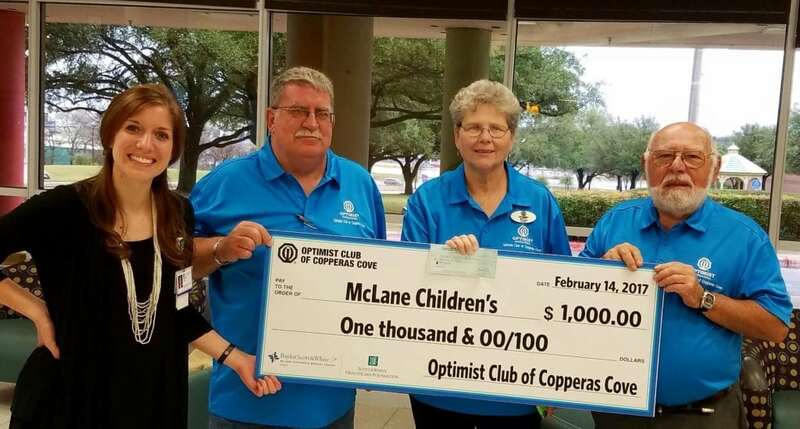 They showed up with a donation for $1,000.00 to benefit their “Sweethearts” at McLane Children’s. We appreciate all that this group does for our children year after year and we weren’t the least bit surprised when they showed their love in such a kind way on this special day. THANK YOU COPPERAS COVE OPTIMIST CLUB! Previous post: Spirit Halloween donates over $200,000.00 to McLane Children’s! Next post: McLane Children’s Music Video!